If you don’t plan your own estate, Uncle Sam and the courts will plan for you. But of course, Uncle Sam’s default estate plan usually includes lengthy and costly court proceedings which translates to additional stress on your spouse, partner, children, loved ones, who will already be struggling with their grief. No one knows what the next day bears for his or her health and welfare so plan wisely now — before you need it. Consider these young deaths: Michael Jackson (50); Elvis (42); JFK, Jr.(39); Farrah Fawcett (62); John Lennon (40); James Dean (24); John Ritter (54), George Harrison (58), Princess Diana (36). Young families have different needs and concerns than retired persons. A college student’s estate plan can be as simple as an advance healthcare directive (free on the internet). A young family’s estate plan can be as simple as a statutory will (free on the internet) naming guardians and custodians for minor children. A retired couple’s estate plan can be a revocable trust-based plan to avoid probate court proceedings, incapacity and provide for loved ones. If you have minor children, have you named guardians? What will happen if you suddenly die? What will happen if you suddenly become incapacitated? Will your estate avoid probate? Is your estate planned to save taxes? Who will inherit your property and assets? What are the best procedures for the smoothest administration for your family? Have you planned for your children? An estate plan is your unique set of documents to memorialize your hopes, dreams and concerns. 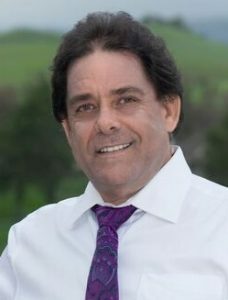 Attorney Ken Begun generally serves residents of Contra Costa and Alameda Counties and in particular the communities of Alamo, San Ramon, Dublin, Pleasanton, Walnut Creek, Danville, Pleasant Hill, Blackhawk, Concord, Pacheco, Livermore, Oakland, Hayward, Berkeley, San Leandro, Castro Valley, Clayton, Martinez, Lafayette, Orinda and Moraga. Disclaimer: This site is not intended as a legal advertisement. The materials provided in this website are offered for informational and educational purposes only, and are not offered as, and do not constitute, legal advice or legal opinions. This information is not intended to create, and receipt of it does not constitute, an attorney-client relationship. Nor will any information submitted through this website be treated as confidential. Pursuant to U.S. Treasury Department Regulations (i.e. Circular 230), we are required to advise you that any federal tax advice contained on this website is not intended or written to be used, and may not be used, for the purpose of (i) avoiding tax-related penalties under the Internal Revenue Code or (ii) promoting, marketing or recommending to another party any tax-related matters addressed herein. © Copyright 2019 925.406.4554. Lawyer Landing Page by Rara Theme. Powered by WordPress.